While the regular Cadillac ATS wasn’t much of a success despite being a good driver’s car, the ATS-V remained a favorite of this website. The ATS sedan is being discontinued but the ATS-V coupe will live on for 2019 with a price increase, one that sort of saves you money if you like carbon fiber. This news comes to us from out friends at CarsDirect.com, who got access to some dealer order sheets for the 2019 ATS-V and confirmed with a GM spokesperson that the car will indeed be getting a price bump, but that it’s coming with more equipment that more than offsets the price. I got a simple explanation for you. The $4,000 increase in the base MSRP is because we’ve added the Carbon Fiber package to be part of the standard price of the ATS-V coupe. In model year 2018, this package was a $5,000 option. Presumably Cadillac had a bunch of ATS-V carbon fiber kits laying around and this is their way of offloading those, but you will get no complaints here. Of course, if you don’t want to wait until the 2019 car comes out, it’s not hard to find a pretty solid deal on 2018 ATS-V sedans and coupes. 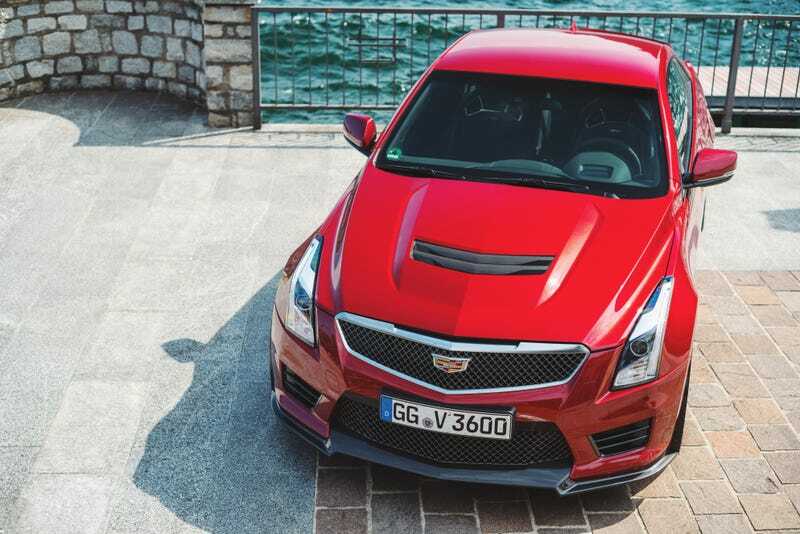 The Cadillac ATS-V: Is It As Good As We First Thought?